If you live in the Gainseville, Florida, area, occasional water damage in the house is going to occur every once in a while. Having to clean up after minor flooding or accidental overflows from appliances is a task that can be assigned to water restoration specialists if you prefer not to do it yourself. Here’s a look at the types of water damage that can occur as well as the potential dangers attached to each kind. From flooding caused by torrential rains and hurricanes to an accidental overflow of the kitchen sink, homeowners occasionally experience different types of water damage in the house, ranging from level 1 to level 3. Ideally, homeowners should seek professional restoration services for water damage in the house, particularly for levels 2 and 3. When water damage in the house is classified as level 1, it usually refers to flooding caused by clean water. Typically, the problem arises when a sink or bathtub overflows into the home. It can also happen if the water lines break. 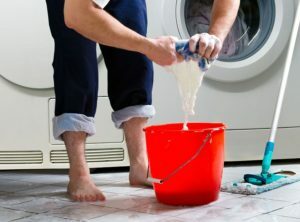 The danger of slipping on wet surfaces does pose a threat, but homeowners can clean up small overflows without worrying about any significant risk of contamination. If grey water enters the home, this type of damage is classified as level 2. It involves the type of flooding that can occur when toilet bowls overflow, dishwashers discharge into the home, sump pumps fail to operate properly, or washing machines overflow unexpectedly onto the floor. Level 2 water damage carries the risk of sickening homeowners through the biological contaminants found in the grey water. If black water is involved in the incident, the water damage is classified as level 3. Black water can contain harmful elements such as fungi, bacteria, chemicals, and other unsanitary components. The danger of becoming ill is increased with this level of damage. This type of damage can occur when sewage pipes burst, flooding from nearby rivers and lakes get into the house, seawater enters the home, or ground water gets into the house.